Many men come to that certain point in their shaving journey when they decide to try different techniques to complete the task. If you’re at that point in your journey and decided to give straight razor shaving a try, you probably know that there’s more than meets the eye to this method of shaving. Most men who decide to pick up this technique wonder about how to sharpen a straight razor, because no matter how sharp your blade is right now, at some point down the road you’re going to have to sharpen it in order to experience a safe and high quality shave. But don’t be afraid, sharpening a straight razor is not the most difficult thing in the world. At the beginning, after deciding on a certain type of straight razor, you’re only going to need a strop. There’s no need to actually sharpen your new straight razor for the first few months. Before ever learning how to hone a straight razor you have to know how to strop one. If you strop your razor properly, only after a couple months will you need to look for a good hone. If you stropped your razor regularly, then you will probably only need a polishing hone to keep your blade sharp. If there’s one thing that you should remember is that you have to always keep the edge of your razor sharp. It’s a matter of safety. The whole idea behind sharpening your straight razor is to get the edge of your blade (the bevel) sharp and smooth enough, eliminating any inconsistencies that could jeopardize your shave. Use your straight razor. This is probably the most straight forward and natural piece of advice. Understanding how to maintain a straight razor gets a lot easier as you use it more and more. You’ll be able to feel when the shave turns worse and keep your blade’s sharpness at a constant level. When you shave you should pay attention to how comfortable, close and irritation free your shave is. If you experience any shift for worse in any of these aspects, it means that it’s sharpening time. Test the blade’s sharpness. This is really easy. 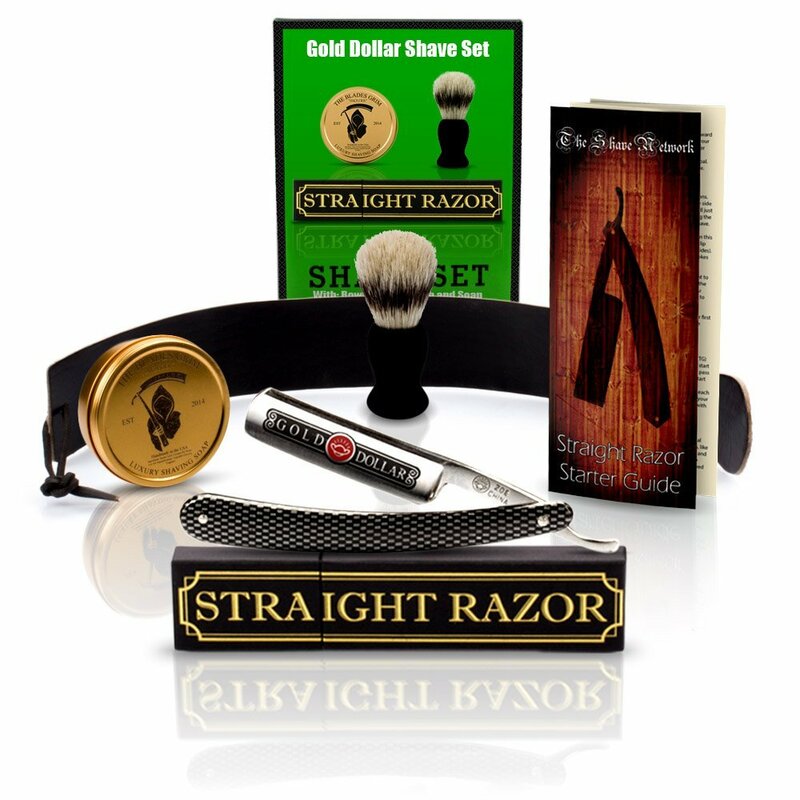 You will only need one single hair and your straight razor. Hold your straight razor in a vertical position with one hand. Use the other hand to hold the hair and bring it towards the edge of the blade. If the hair gets cut easily, then the razor is harp enough. If not, it’s a sign that it might need sharpening. Use your sensory abilities. You can form a quite accurate impression about the sharpness of your blade using your thumb. You have to wet your thumb and then, glide the razor across your fingerprint. If you feel that the blade glides softly and easily over your thumb, the sharpness is right. If it produces a stronger tickle, it might be to dull. You can also use your thumb’s fingernail to test the sharpness. This method implies wetting the fingernail and dragging the razor over the top. If you feel a soft drag when it passes over the nail, it’s sharp. If it slides too easily it might be dull. Strops are great for maintaining your razor’s sharpness between honing. Because this guide is on learning how to sharpen a straight razor we’re going to focus our attention on honing. You would probably want the best that you can find, in every category. There are many options available, some good and some better. To make the best picks, you have to do some serious research. We’ve done our homework and decided to share our opinion, to hopefully help you make the best choice. When deciding on our favorite stone, there’s one factor that we applied to all of them: value for money. We think it’s neither smart, nor convenient to overpay. We wouldn’t, so you shouldn’t. The most important thing, regardless of the price of a certain product, is if it’s justified. This hone is our absolute favorite. There are many you can choose from available, but there are some things that set this particular model apart from the crowd. It’s a 4000/8000 combination grit, which is perfect for most razor models. You can easily sharpen razors at many different sharpness levels. It comes in a plastic casing, that keeps the stone wet. The box is really useful, it also doubles as a stand. A big advantage of the Norton 24336 Waterstone is its size. It’s such a simple and smart thing to make these products big enough to be perfectly useful. This stone is 3 inch wide, which means you can hone the entire edge of your blade approximately at the same time. 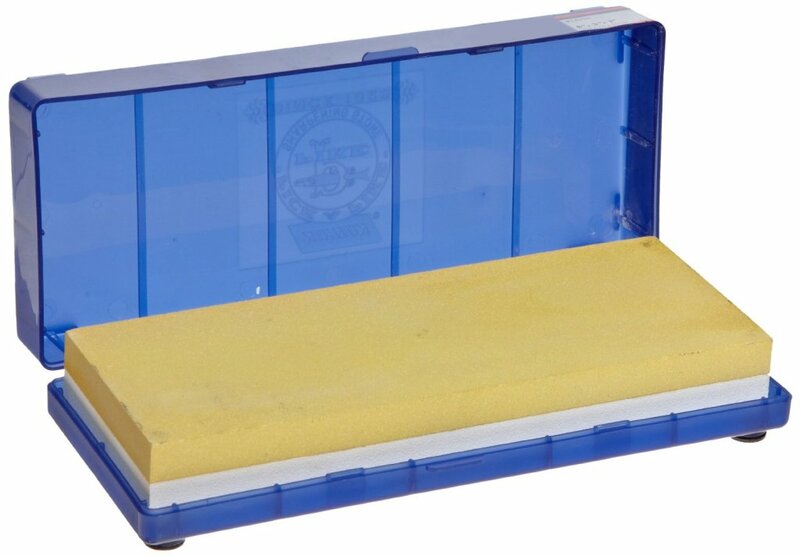 There are many models of sharpening stones that are narrower, only enabling you to sharpen portions of the edge at once. This can result in a differently sharpened edge, which makes the shave worse. Correct starting position. Straight razors are designed to have 2 equally-opposing parts. Each side is designed in a concave form, which means the razor is thicker on one side and thinner on the opposing side, forming a sharper edge. A good guideline would be to put the razor flat on the sharpening stone. The difference in thickness will give it a natural tilt onto the edge. That’s a great starting position to honing the razor. The fixed position enables a consistent sharpness along the edge of the razor. The right technique. In order to ensure an even sharpening you should try to glide the edge of the razor diagonally, starting from the upper half of the stone and ending on the lower half on the opposing part. On each stroke drive the razor downward to capture the entire edge. Pay attention to equally execute the opposing strokes so you end up with both sides of the edge sharpened symmetrically. When pushing the razor over the stone, don’t apply too much pressure, and above all avoid rushing the process. Taking your time to execute the strokes perfectly will result in an evenly sharp edge. The perfect level of sharpness. A straight razor that is unnecessarily over-sharpened will harm more than deliver a good shave. An overly sharp edge might cause nasty cases of razor burn, so make sure not to be over-enthusiastically sharpen the razor. Which are the Best Straight Razor Brands?